Room9@muritai: Banded Kokopu Brief introduction by Will and John. Banded Kokopu Brief introduction by Will and John. We have been learning about Banded Kokopu. Banded Kokopu live in the stream in pools under banks, rocks and logs. They have gills, fins, tails, a body, eyes, scales and a mouth. 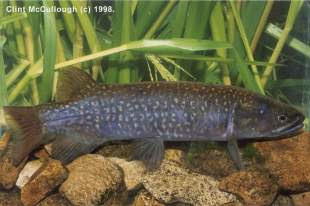 Banded Kokopu have a life cycle: It starts as an egg which is laid on the forest floor in autumn when the river floods. In the stream the egg turns in a larvae which then turns into Whitebait. Whitebait are almost see through and humans eat them. After that they turn into an adult and it starts over again. A Banded Kokpou eats orbweb spiders, cased cadissflies, wetas and mayflies. Read our report in a few weeks and find out more! I am sick of waking up to the sound of beeping! It is quite fun here, I am not missing my schoolwork (do not tell Miss Edwards I said that!). They have almost everything here, they have Playstation and X-Box and Isaac has let me borrow his Gameboy. I hope to come back soon. I am feeling a bit better but I still have to have medicine through a needle in my hand. I also had a camera put up my nose and down my throat. Fantastic report so far Will and John. I am impressed!! Looking forward to reading more once its completed.